You can track and coordinate with members of your team in the field. You and the team can be guided to the right locations, and away from dangerous or otherwise undesired ones. You can receive triggers and signals when you enter certain zones or are approaching others. Your phone can access deeper geographic knowledge about any location. Cities can notify their citizens about road and bridge closures. In turn, citizens can report on problems and issues and provide geotagged comments and feedback about proposals and plans. You can be guided to exactly where you need to go—and not just along public roads but also private roads—to precisely where equipment is located, for example, and even inside of buildings and across campuses. 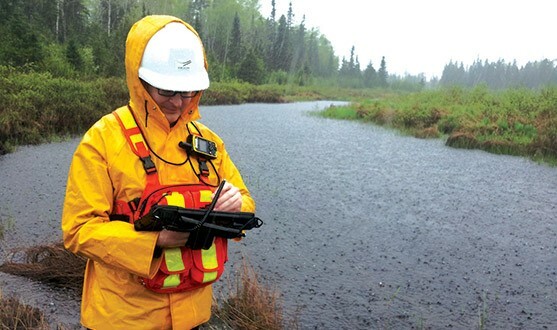 Standing in the rain in Northern Ontario, this fieldworker gathering data on environmental conditions is actually connected to an enterprise database. 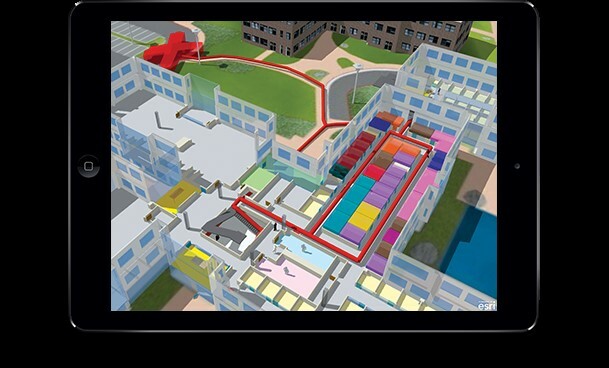 With a smartphone, everyone is a potential data sensor. In addition to its workforce applications, this opens a whole area called “VGI” (volunteered geographic information). Think of this as geolocated social media like tweets and blog posts. Even something as simple as a tweet can have location associated with it, and with geolocation, this content becomes part of a larger crowdsourcing effort.